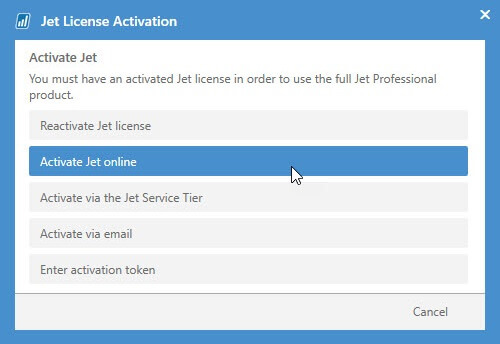 After purchasing Jet Reports, you will be sent an Activation Code. Contact our licensing team if you need to request an activation code or require additional license/activation assistance. 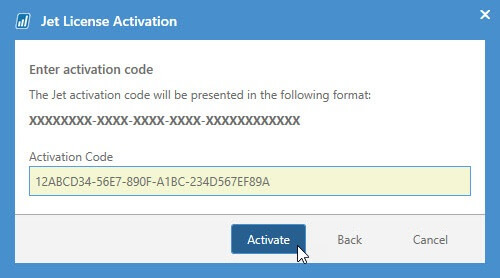 This activation code will be stored on the system, and (assuming the correct activation code was entered) each user will be automatically activated using this activation code the first time the Jet Excel Add-In is enabled in Excel for that user. 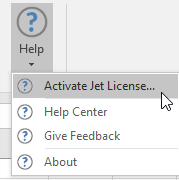 If the Jet License is not activated during installation, it can be activated from the Jet ribbon within Excel. and click the Activate button. With Activation, Windows domain IDs are used to authenticate named designers and viewers. A Jet designer or viewer can activate on more than one computer, so long as they use the same Windows domain ID on each. 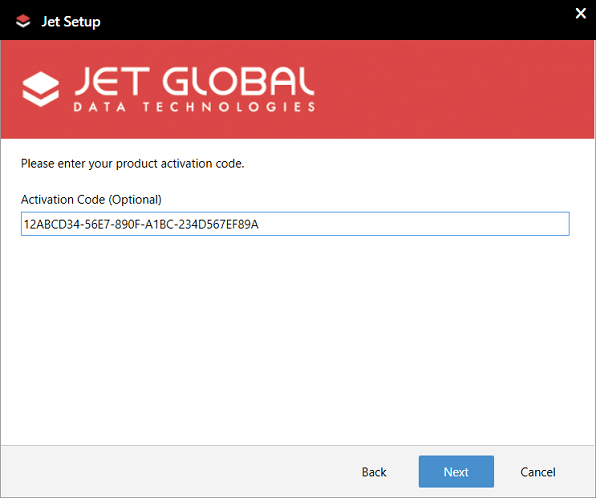 Each Jet designer or viewer will need to enter their organization's activation code on each computer that they use. Select Activate Jet License from the Help button on the Jet ribbon. You may need to contact your system administrator to get this information. 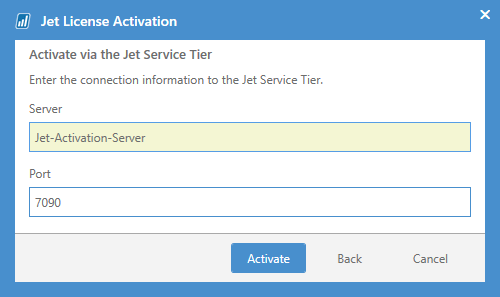 To learn about using Jet Service Tier activation without requiring user interaction, see the article on Server-Based Activation. Select the Activate via email option. 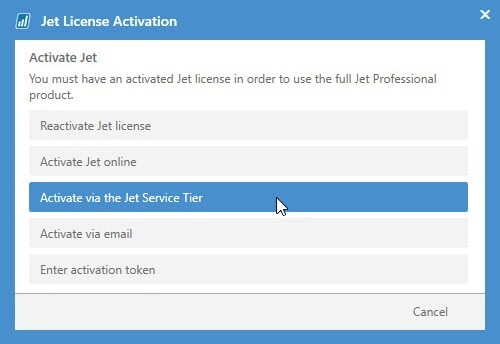 This will create an email for that you can send to the Jet Licensing team. 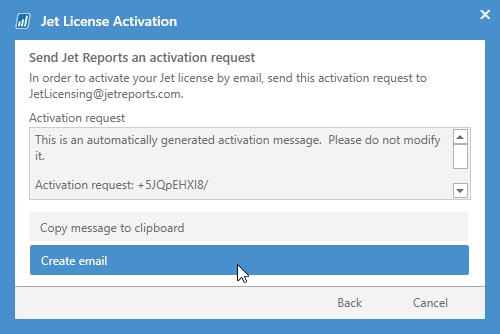 Give the text file to someone with email access and have that person paste the contents of the text file into an email and send it to JetLicensing@JetReports.com. Copy the Activation Token text listed in the email. Start Excel and select Activate Jet License from the Help button on the Jet ribbon. 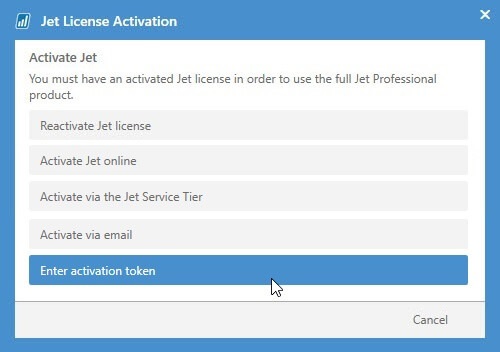 Paste the activation token you copied from the email into the Jet License Activation window.